Style is a symbol of individualism. Our brands and product lines each possess their own distinct style and personality, providing our worldwide customers with a diverse assortment of decor products second to none. Brewster Home Fashions represents a fashion forward compilation of patterns and textures, with designs perfect for every room. Time honored elegance, uncompromising design and high style define Kenneth James - traditional, yet eclectic brand of boutique styled wallpapers. Fresh, modern & chic. A-Street Prints is an eclectic brand of wallpaper carefully crafted with a range of designs and techniques that speak to today's most coveted styles. Beacon House is a collection of classic wallpaper designs, with fresh and fashionable color palettes. A fusion of tradition and trend, these wallpapers are fit to grace the finest homes. Mirage wallpaper shimmers with the luxury of silk and satin. Evoking the luster of a pearl, and the mesmerizing grace of silk, the Mirage collection embellishes walls with an elegant splendor. Brewster Home Fashion's signature collection of wallpaper brings today's styles and colors to life. The Brewster brand offers a diverse variety of wallpaper collections that will jump start any decorating project. Decorline is a fresh and contemporary brand of wallpapers with a modern perspective on classic designs to create stunning interiors. Chesapeake brand wallpapers and borders span a diverse spectrum of thematic tastes, including country and lodge décor, coastal themes and kids wallpapers. The Warner Textures wallpaper collection brings the strength of a commercial grade wallcovering together with beautiful styles and appealing colors. Warner Studios is a designer line of fine wallpapers. The beautiful books include luxurious traditional designs, intriguing textures and contemporary twists on classical motifs. Patty Madden Ecology is an expressive and harmonious line of designer wallpaper with layers of chic texture effects and beautiful finishes. Fairwinds Studio's collections of wallpaper is fresh, inspired by cottage-chic vintage designs, romantic florals, and classic English style. Eijffinger wallcoverings embrace inspirations from around the world, bringing to life vibrant and exquisite patterns. Komar wall murals create a new universe of possibilities for your walls. Enjoy a serene birch forest, open up your walls with a beach mural, invite the romance of Paris, or bring an imaginative graphic creation to life. National Geographic photos come to life on your walls as striking murals. From African safaris to prehistoric dinosaurs, maps, monkeys and space, these murals appreciate the visual beauty of the world. From modern designs to stunning landscapes to charming graphics, ohpopsi has a mural to suit any home decor style. These murals are not only a beautiful addition to a room, but are also 100% vinyl-free. Brewster wall murals are a stunning collection of images for your walls. 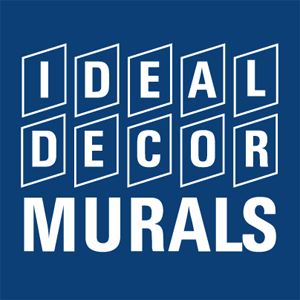 Looking to create a mural? Brewster Home Fashions brings artistic murals to your walls with ease. Designed for children of all ages, Walltastic has a fantastic range of unique and exciting murals. From adventurous space and pirate murals, to dreamy fairies and princess designs, Walltastic murals will make kids rooms beautiful. 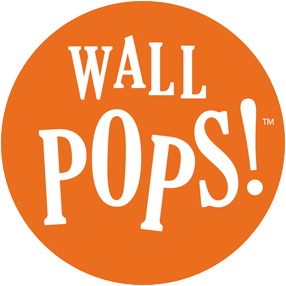 WallPops wall decals are always repositionable and never permanent! They come off the wall as easy as they go on, without harming the walls. Transform a window or glass surface into a focal point with Brewster Home Fashion's stained glass window clings and privacy films! Established in 2012, Habitat Décor's items feature rustic and organic elements. With hand crafted candle holders, carved medallions, and other tabletop decorations, Habitat has everything you need to create a warm and inviting home. Providing top quality home décor for more than 40 years, Fetco Home Décor offers a wide range of elegant and timeless items. From picture frames to metal wall art, Fetco has a complete line of products to help make your home more beautiful.